It’s 2016, the era of Big Data, and between Apple’s recent encryption debate with the FBI and news of government database hacks, you’ve decided it’s time to beef up your online security to protect your identity. If you already use a VPN to protect your identity while browsing online, you’re headed in the right direction. But with the addition of Blur, you can make your online life more secure and you can better protect your private information. Let’s cut to the chase: Blur essentially works like a VPN for your email address. While you can get access to emails from sites that you want to hear from or create accounts on, you are protected by the fact that the site doesn’t have your real email address. Just as you can use a VPN to make your IP address change and appear as a different private IP address from a different location, using Blur’s Masked Email feature allows you to make your real email address appear different to those websites. Best of all, Masked Emails are included in the free version of Blur, and you can make as many different email addresses as you want. How does it work? When you’re prompted to enter you email address, Blur gives you the option of creating a masked email right in that space. 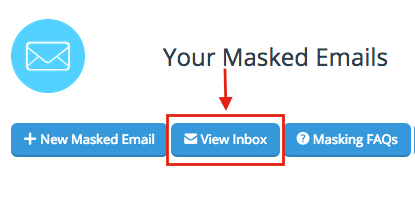 You can also create a new masked email directly from your Blur dashboard. When you provide The Boston Globe, for example, with your masked email address, they can only send emails to that masked address. The masked address forwards to your real email account, but The Boston Globe does not know your real email address and will not be able to contact you if you delete the masked address. Blur forwards messages from your masked email addresses virtually and securely to your real private email address. In this way, Blur’s masked emails are just like a VPN which gives you a new IP address, forwarding traffic securely to your real private IP address. Masked Emails are a great addition to your privacy repertoire because your private information (location in the case of VPN; email address–and more–in the case of email) is redirected and masked by different private information than your real information. If you care about your online privacy, it is time to go beyond just private browsing and stop sharing your personal information online. I am concerned that used masked email can cause confusion. If I sign up with a merchant using my email b.c.chin@gmail.com, how will a masked email address be associated with my account? Do I need to sign up with the masked address and not my real email address?